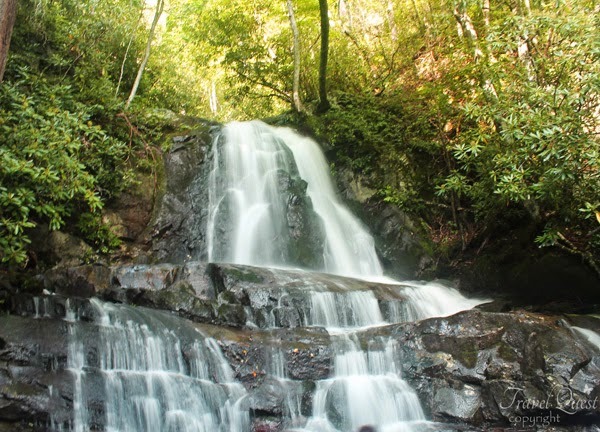 The Laurel Falls Trail is an American hiking trail, in the Great Smoky Mountains National Park of Tennessee. We went to this falls mid-afternoon on August 23rd weekend. The drive into Smoky National Park was very scenic and peaceful. We stopped at Gatlinburg Visitor's Center on the way in to pick up a couple maps. 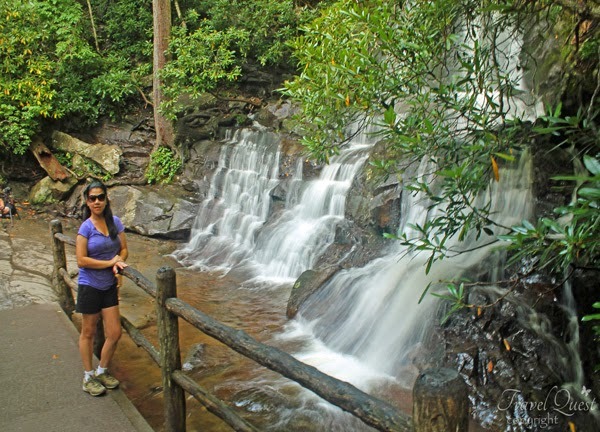 It was a wonderful walk up to the falls, I loved that the trail was paved. There are a few places to go down off the beaten path and explore. It was nice to get outdoors and get some exercise. The falls is beautiful but its a little crowded, but worth it. Had to wait for other visitors to move to get my pics. But overall loved this natural wonder. 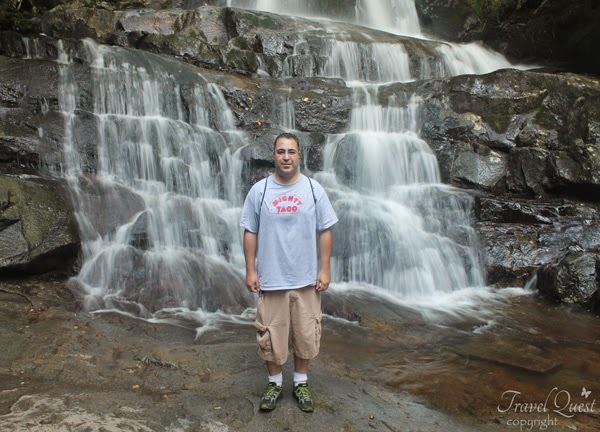 Definitely recommend Laurel falls for the nature lover. Wow, that is gorgeous. Must be so relaxing to stand by there and enjoy the sound of water. I love falls. I never been in Smoky mountain. what a magnificent waterfall, such a beauty of nature and of that place. Wow! A stunning waterfalls. I content myself seeing photos of great waterfalls. But I've been to Pagsanjan Falls and Hinulugang Tatak. 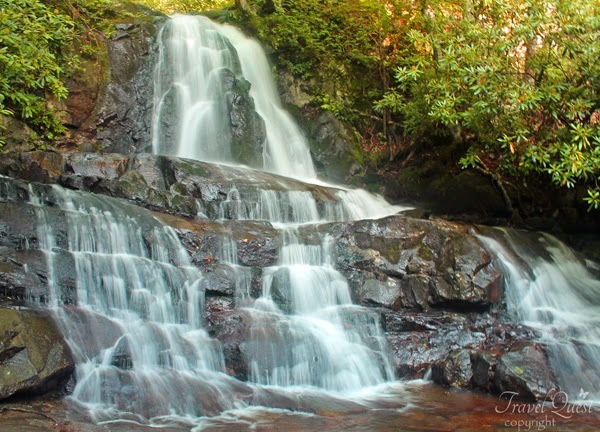 The sound of flowing water is really relaxing (except when you have a broken faucet - that is stressful! haha). That waterfall is not really big but still it is pretty. Oh my word! That's a very cute waterfalls. I am normally afraid of any body of water but that cute waterfalls is not so intimidating. It's very picturesque. What amazing photos. That looks like a gorgeous place to visit. I love waterfalls! They never lose their wonder, and you're right- they totally make hikes worth it! Looks great. Would be a nice place to go for the holidays. These falls a re beautiful! I have never seen a waterfall up close. I could relax by that all day. What a beautiful piece of nature. I think it's absolutely beautiful! What a wonderful sight to see! I also think it's worth the hike. This looks like such a serene and awesome trail. This looks beautiful! I would love to go for a hike there! Wow! This looks beautiful. Fantastic Photos! I have never been, but this looks like a great hike. Would love to visit. There are so many beautiful places like this in TN. Love the pictures. Thanks for sharing! That's definitely reward for a hike. I would absolutely love and treasure that view! Wow! Such a fun and relaxing place to visit. I am a natur lover. I'm going to visit there soon. Thank you for sharing. This is really good. I would love to visit there someday with my family. what a beautiful place, my family also loves going nature tripping. I love waterfalls and that one looks fabulous! I haven't traveled to Tennessee before but I would love to have a picnic next to that waterfall. Wow, those pictures look perfectly perfect. Great photos! This is so beautiful. I love waterfalls. The place looks so relaxing. oh, my goodness! What a stunning place to visit. Awesome photos by the way!